Dan Voll, a lifelong professional musician, moved from the Midwest to Northeast Florida in 2010. Voll (rhymes with ‘soul’) was born and raised in Baraboo, Wisconsin. He studied guitar in Los Angeles with esteemed recording artist Ted Greene, enhancing his jazz skills and adding to his natural versatility. 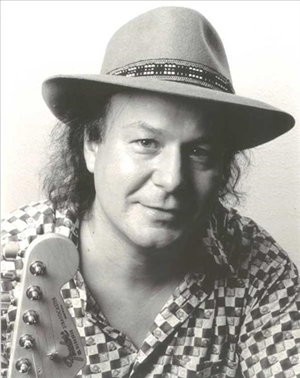 While living in Rockford, Illinois, Voll was honored with five top music awards and countless accolades from fans and peers. In addition to solo performances, Voll has led several successful bands. When Dan became part of our Fernandina Beach community, he could be heard playing regularly with his pop/rock trio and a blues band. Along with weekly nightclub gigs, Dan performed at The Cloister at Sea Island and the Jekyll Island Club in Georgia; the Omni-Plantation and Ritz-Carlton on Amelia Island, plus upscale venues and events in Jacksonville, Florida. Known for his dazzling instrumentals and soulful vocals, Dan’s genres include rock, pop, blues, jazz, country/Americana, Latin and world music. He was a skillful songwriter and arranger, with an impressive repertoire of original compositions and unique instrumental arrangements. Thanks to his amazing versatility and professionalism, Dan Voll was among the most popular guitarists in the NE Florida area. 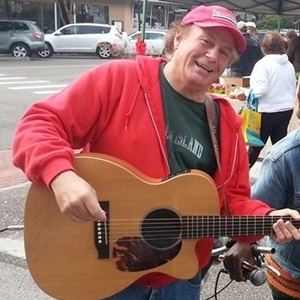 Dan Voll will always be remembered as one of Amelia Island’s legendary musicians.